Cruise company growth plans range from multiple-to single-brand strategies, according to the 2018-2019 Cruise Industry News Annual Report. The largest company, Carnival Corporation, continues to build up its core Carnival brand, while Costa Crociere will see the most growth in passenger capacity, largely based on its China deployment. AIDA will also see significant growth in the German market. Carnival’s other brands will see more moderate expansion. In addition, Carnival has a joint venture in China which is expected to launch service with its first ship in 2023. Most of Royal Caribbean Cruises' growth is focused on its Royal Caribbean International brand and to a lesser extent on Celebrity Cruises. Azamara has long been a two-ship brand and has only expanded to three ships after 11 years of operation. Among Royal’s joint ventures, only TUI is growing in Germany, but at a more measured pace going forward. MSC continues to concentrate on its single brand strategy. Norwegian Cruise Line Holdings also has a multiple brand strategy but most of its growth going forward is concentrated at the Norwegian Cruise Line brand. Genting Hong Kong is another multiple-brand company, but the focus seems to have shifted from Star and Crystal to Dream Cruises tapping into Asian as well as international markets. 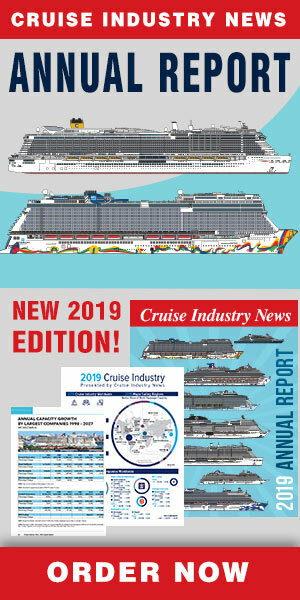 The Cruise Industry News Annual Report is the only book of its kind, presenting the worldwide cruise industry through 2027 in 400 pages. See a preview by clicking here. The report covers everything from new ships on order to supply-and-demand scenarios from 1987 through 2027+. Plus there is a future outlook, complete growth projections for each cruise line, regional market reports, and detailed ship deployment by region and market, covering all the cruise lines. 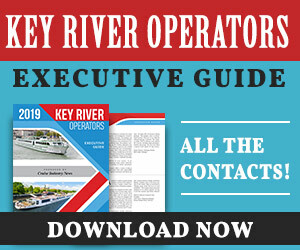 Order the 2018-2019 edition today.